Heyy my lovelies, again it has been a while since I have posted anything for you. Since then there have been a few changes and one of those is changing my hair for the new season. I know ‘Ombre’ hair or as others would call it ‘Dip Dye’ hair is a very popular trend the a range of different colours. 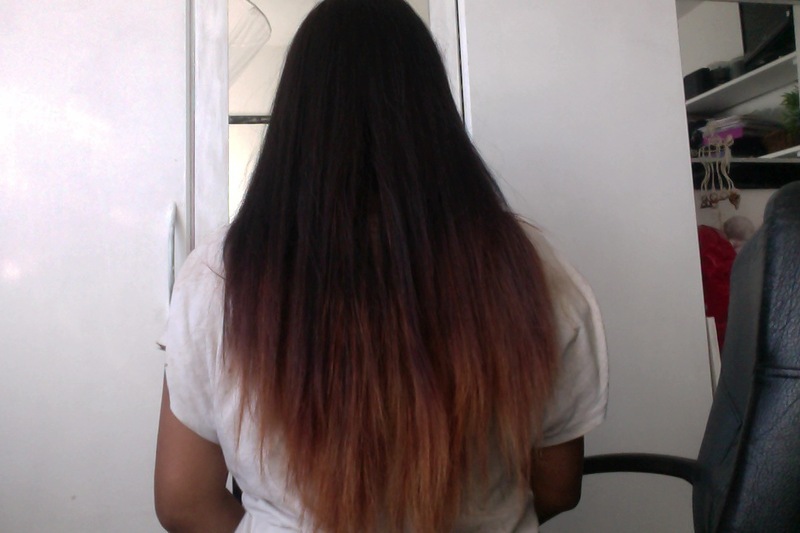 Caught up in the trend and coming across hundreds of pictures I picked up a DIY Wild Ombre kit by L’oreal and gave it a go. Unfortunately I do not still have the kit or I would have shown you the brush that came with it, even though I don’t think there is a point in doing so. By this I mean that the brush was not effective at all when it came to brushing the product through my hair, I mean it was so small that I had to grab my actual hairbrush and brush it through at the end to make sure it really blended and didnt leave any bleach spots! Before I actually used the kit I dyed my hair a very dark brown to take the colour I had previously in it, here is the finished look after dying. These pictures were taken just after I had washed the dye out and dried it, I noticed that after using the kit with bleach and lightener my hair was quite dry and knotted. 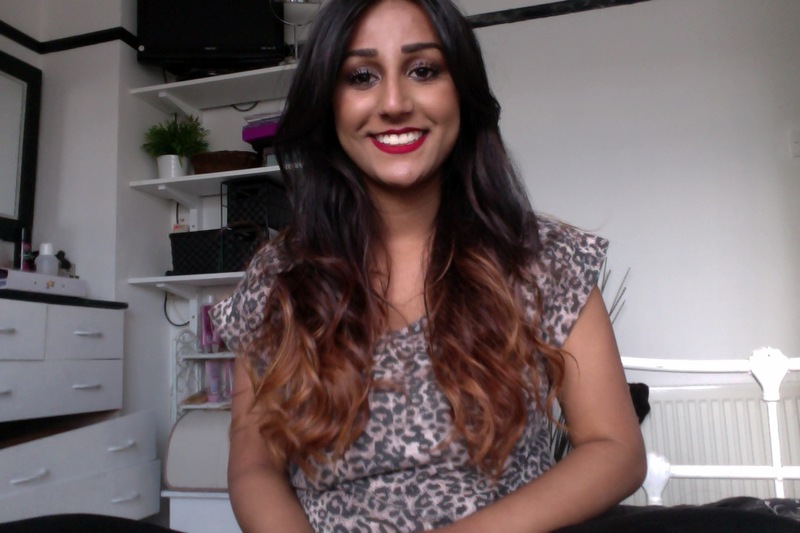 However after conditioning a few times it did blend my hair in more and return it back to its shiny silky self :). Overall I think I did a pretty good job with blending it into my hair, the results have paid off and the cost was a lot cheaper than going to the salon and getting it done. The kit was very good and came with clear instructions and think it was around £6 or £7. Whats not to love about it! Well apart from the brush that comes with it but that can always be worked around :). What do you think about my new hair? 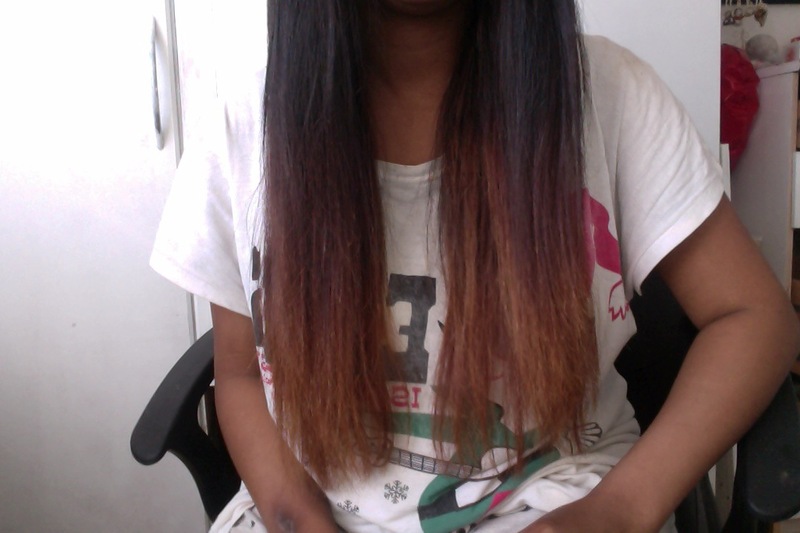 Would you Ombre your hair? « Update: Amazing detox programme!! Hi I was wondering which one of the ombre kit colours did you purchase??? Hi I really like you’re hair color! What ombré color is it? What number? Hey! I left it in for about an hour, I know it says less but I found it lifted the colour more than if I was to leave it on for the set amount of time.